Q. Was there a river or stream within walking distance from Carlisle’s campus where Jim Thorpe could have gone fly fishing? A. For anyone who has lived in Central Pennsylvania this is a trivial question. For anyone else, a little research would be required. Living here gave me an advantage. Letort Spring Run, one of America’s most highly regarded trout streams runs through the campus but I doubt if a serious angler would have fished that stretch. He would most likely have tried his luck just south of town nearer to the creek’s source at Bonnybrook. Fishing the Letort can be frustrating, I’m told, because the fish are so smart. Some say it’s necessary to crawl up to the bank on one’s stomach to keep from alerting the fish to your presence. Eugene Craighead cut his teeth at Bonnybrook and became one of the country’s most noted fly fishermen. Q. 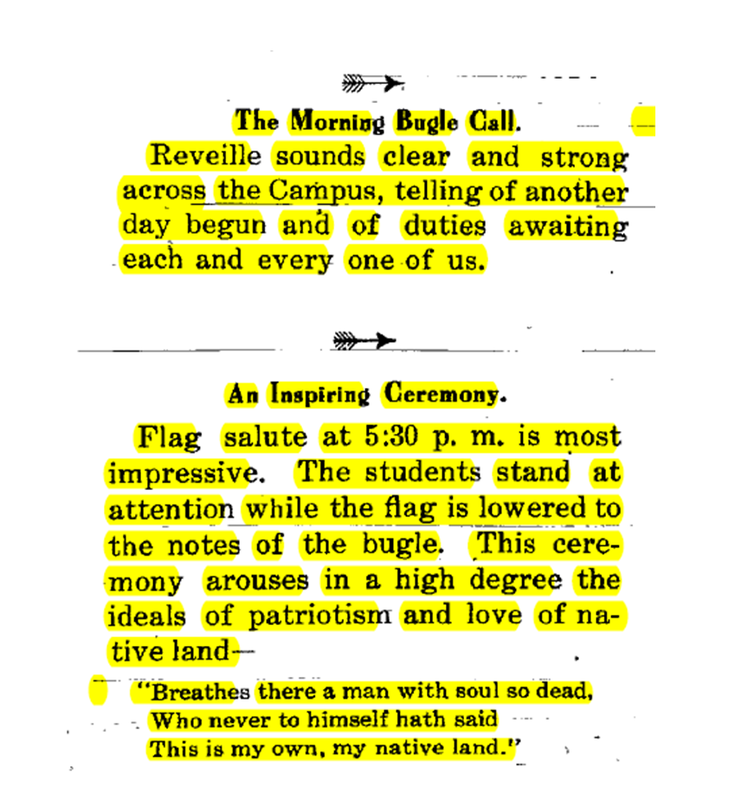 In the evening on the Carlisle campus, at a specific time, did a bugler play “Taps” signaling lights to be turned off all over campus? A. Intuitively, this sounds accurate because Lt. Richard Henry Pratt of the 10th Cavalry founded the school and served as its superintendent for 25 years before being replaced by Maj. William A. Mercer, another cavalry officer. The students wore military uniforms and marched daily, so using bugle calls seems obvious. However, one needs proof—and there was some. This entry was posted on August 14, 2013 at 6:32 pm and is filed under Carlisle Indian School, Jim Thorpe. You can follow any responses to this entry through the RSS 2.0 feed. You can leave a response, or trackback from your own site.